Synopsis: American Indian Pottery explores the different pottery styles of early Native Americans. 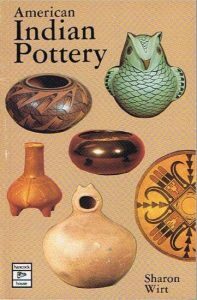 Author Sharon Wirt examines the significance of pottery as an archaeological tool in understanding the art and culture if the past and describes various techniques of early Native American pottery manufacture. Well illustrated with color photos and drawings.